Jay Clayton recently expressed his concerns about custody services and manipulation in the digital currency space. Clayton is the present chairman of the U.S. Securities and Exchange Commission. The chairman said that an exchange-traded fund for Bitcoin (BTC) might get a green light if it satisfies all their rules. Recently, CBOE also announced that it wouldn’t be offering new BTC futures contracts this month. CME – CBOE’s rival – might benefit from this. The platform will continue to offer traders an opportunity to trade in BTC futures. Bitcoin (BTC) price prediction has been a trend in the crypto space. There have been a lot of BTC price predictions over the past years. One of the biggest Bitcoin (BTC) bulls with massive price predictions for the digital currency is Tom Lee. Tom Lee so much believes in the digital currency. He believes that the fundamentals of Bitcoin (BTC) are greatly improving. The Bitcoin (BTC) bull is expecting a massive turnaround by August this year. Lee’s Bitcoin price prediction for this year is $10,000. But he believes the digital currency will still get to the $25k level which he predicted last year. The digital currency market is currently in the green, with most coins posting double-digit gains. Here is the price analysis of some of the top coins in the market. Ethereum (ETH) has been holding the $134 support level for quite some time. The bulls are trying to get the digital currency over the $150 level. The relative strength index is close to the center, and the moving averages are flat. This means that sellers and buyers are at the same level. If Ethereum price breaks over the $150 hurdle point, it could surge towards the next resistance at $167. 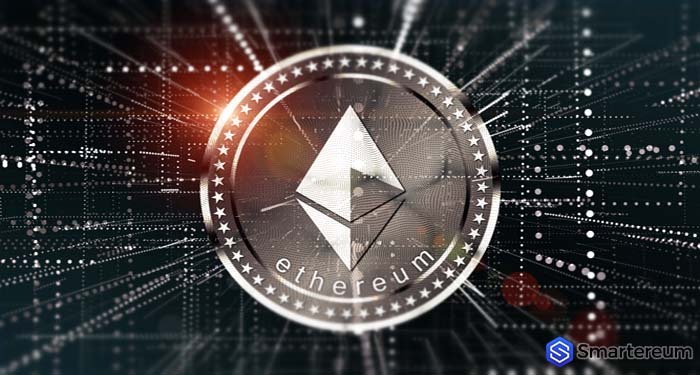 At the time of writing, ETH live price is $141 after an increase of about 6.3 percent. The current market cap of the digital currency is $14.89 billion. The trading volume of the digital currency over the past day is $5.66 billion. XRP (XRP) has been holding to the upward trend of the ascending triangle over the past couple of days. The relative strength index is currently at the midpoint. Whereas, the moving averages are flat. This also shows an equilibrium between supply and demand. The digital currency is currently supported at the 29 cents level. The immediate resistance of the coin is at the 34 cents level. XRP is currently changing hands at $0.317 after an increase of about three percent over the past twenty-four hours. The current market cap of the digital currency is $13.18 billion. Its trading volume over the past day is $802.20 million. Tron (TRX) has been trading beneath the 20-day exponential moving average over the past couple of days. However, the digital currency has been able to hold gains over the $0.0209 level. This indicates supply at lower levels. Tron (TRX) is currently facing a strong hurdle at the $0.0240 level. Whereas, the immediate support of the coin is at $0.022. Tron (TRX) is currently worth $0.0238 after an increase of about four percent over the past twenty-four hours. The current market cap of the digital currency is 1.53 billion with a trading volume of $178.65 million. Litecoin (LTC) found strong support close to the 20-day exponential moving average on the 15th of March. At the time of writing, the bulls have pushed the value of the coin over the $60 level. The digital currency just broke a major resistance at $59, which now serves a support level. LTC live price is $62.54 after surging by more than nine percent over the past twenty-four hours. The digital currency currently boasts of a market cap of $3.71 billion. Its trading volume over the past twenty-four hours is $2.41 billion.